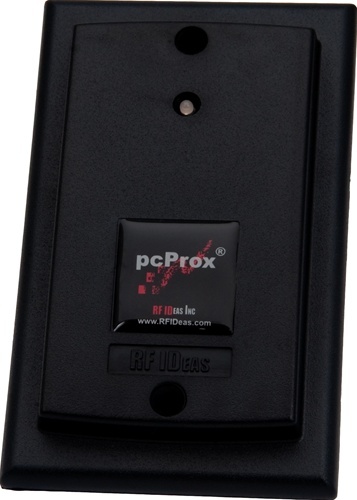 The pcProx Ethernet Reader for HID Cards allows users to attach pcProx readers to a RJ45 Ethernet connections. When using the supplied redirector software, the reader appears the same as the RS-232 model. For example, if the converter taking address 192.168.0.5. The user runs the re-director software on their PC and sets the address to address 192.168.0.5, and chooses an available COM Port (ex COM4). 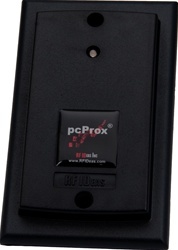 The user's software or the pcProx Configuration application sees this pcProx reader as a standard serial reader at COM 4. When a card is presented, the card's data will appear in ASCII at COM 4. The pcProx Ethernet model emulates the serial port reader and comes with software to redirect the IP address to a virtual COM port on Windows-based PC’s.